I have to admit. I am skating footwork-holic. When I see powerful step sequence that goes perfectly with the energetic music it makes me jump out of my seat from excitement. Not every skater can master his footwork but there were some that made a history with it. 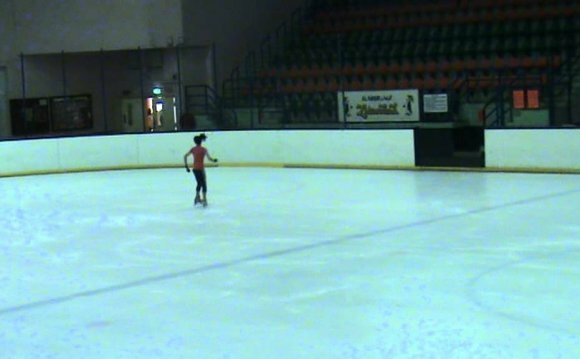 5-time World champion Michelle Kwan is no stranger to flawless skating footwork. This one from 2004 U.S National championships is to die for. The speed, energy, powerful music and most importantly, cheering audience. The American ballerina stunned the World at the Olympics in 2006 by exciting footwork at the end of her program to Russian piece “Dark eyes.” It put her into the first place after the short program and raised her chance to become an Olympic champion. She grabbed the silver after the free skates. Before James Brown and his virally famous “River dance” routine there was Takeshi Honda. The Japanese World bronze medalist who was not only known for his quadruple jump combinations but also for great footwork. Take a look! We all know that Stephane Lambiel was a spinner par excellence. But you have to give him props for bringing exciting footwork too. Specially this one from 2010 European Figure Skating Championships got people on their feet. French skater Brian Joubert was always known for his fast and impressive footwork. He made sure he has always something for the crowd to cheer for. And the crowd loved it. This is true modern artistry on ice! Pair classic music up with hip hop and you get an ultra-modern and exciting step sequence. I remember seeing this one for the first time and playing it over and over again. It is that good! I am sure Russian star Evgeni Plushenko had to get the title “King of footwork” several times in his career. His fast steps and passionate movements are legendary. And you can tell he also enjoys to please the crowd by such exquisite step sequences. If no other this has to be one of the most iconic step sequences of all time. Excellent idea of the choreographer to pair up sword fight with sword sounds. The famous French D’Artagnan from 1998 Olympic Games in Nagano, Phillippe Candeloro. Same as Plushenko also Yagudin was making living from his unique footwork. This must be my personal favorite. Everything about it just clicks together so well that it is taking my breath away. And I cannot even count how many times I have pushed the replay button over the years for this particular moment. Yagudin was great, Plushenko was awesome but this guy is the legitimate megastar of Figure Skating footworks! I swear, incredible! What he can do with his legs is truly a master piece. Just watch him.